The new season is already up and running and with it Zalgiris has taken on the goal of getting all Zalgiris fans to experience their first home game. With the launch of an unprecedented project, #ZALGIRISVIRGIN, the club encourages people who want to be a part of real sport emotions, but never tried a Zalgiris game in the flesh, to lose their Zalgiris virginity by making their way to the Zalgirio Arena and living out an unforgettable experience. The #ZALGIRISVIRGIN package will be available with a simple purchase of tickets, and fans will be awarded with Zalgiris scarf and a manual, that will get you fully prepared for the game with the club's history, achievements, some basketball terminology, the most popular chants and a to-do list for every real green-and-white fan. For those who may still be unaware of it, there might not be one single thing in Lithuania larger than basketball. With that said, there’s no bigger team in basketball here than Zalgiris. 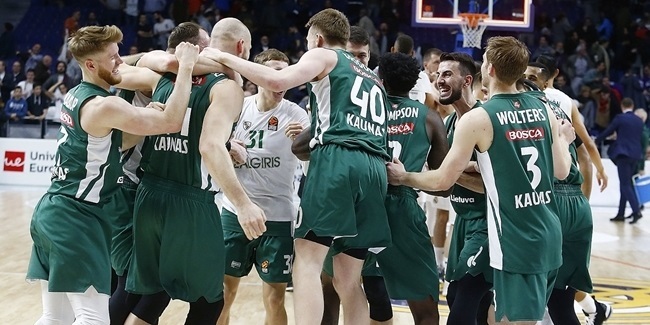 Having clawed their way to the European elite with one of the smallest budgets in the EuroLeague, Zalgiris is no stranger to punching above their weight. Led by all-time great Arvydas Sabonis, Zalgiris was a symbol of resistance as they fought off the Goliaths of the USSR championship. 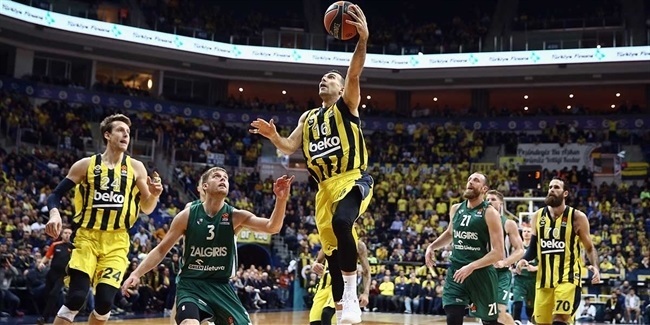 They followed up the success in the 1999 with a triumph in the EuroLeague and brought back international trophies to Kaunas in 2018, winning bronze with Sarunas Jasikevicius at the helm. Coach Jasikevicius, who has easily become the face of the franchise, takes pride in being a Kaunas patriot and a longtime Zalgiris supporter. He has voiced his love for the club time and time again, recollecting his first Zalgiris memories from nearly four decades ago. "Honestly, I don't quite remember how I lost my Zalgiris virginity," Jasikevicius said. "I must’ve been four or five years old, but I would always go to the games with my dad. My most vivid memories were of the battles against CSKA Moscow – it was close to impossible to get tickets to the games, and there was not a single empty seat. I would just sit on my dad’s lap. It was nothing but the best of memories and every Zalgiris game I could go to would always be a big event for me." It's not just the victories or even basketball itself that draws crowds to the gorgeous Zalgirio Arena, though. If you are a hoops fan, this is a no-brainer. 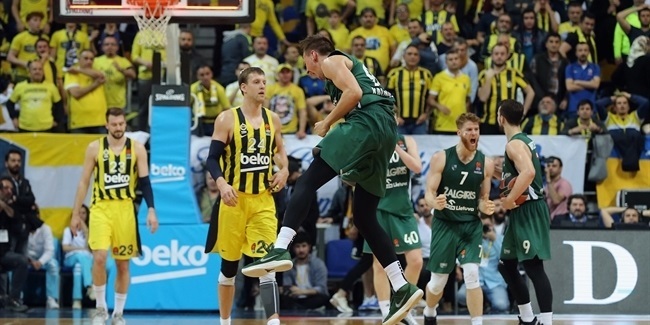 But the off-court activities and the unbelievable atmosphere created by a green-and-white army makes it a remarkable show to witness even for the people who aren’t too keen on basketball. It's truly a must-see during your stay in Lithuania, and quite frankly, a reason to visit the country on its own. First times are always exciting and nerve-wrecking, and Zalgiris Kaunas promises that you'll want more. Consider this as the club’s direct invitation to lose your Zalgiris virginity.